Pratik Dholakiya is the Founder of The 20 Media, an SEO and content marketing agency, which has clearly risen above its Indian counterparts in terms of thought leadership. 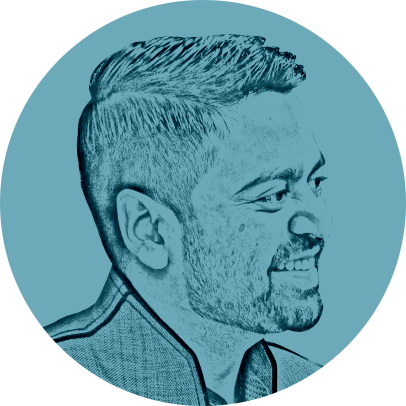 Pratik has over 10 years of hands-on experience in digital marketing and has served more than 500 customers in different verticals. As a passionate marketer, he regularly shares his thoughts and knowledge on high end publications like Entrepreneur Magazine, Fast Company and The Huffington Post to name a few. Search Engine Watch and Search Engine Journal, two of the most respected platforms in the search industry, have recognized Pratik as a ‘must follow’ SEO expert. He has also been mentioned in ‘Search Engine Roundtable’, and named one of the top content marketing influencers by Onalytica three years in a row. Pratik regularly speaks at various conferences and events about anything related to digital marketing. He has spoken at 80th Annual Conference of Florida Public Relations Association, Accounting & Finance Show, Singapore, NextBigWhat’s UnPluggd, IIT-Bombay, SMX Israel, SEMrush Meetup, MICA, IIT-Roorkee and other major events. Quick recovery from Google penalties. Processes in place to make sure you’re not hit again. Focus on your business, not on algorithms. Effective digital marketing campaigns that allow startups to punch above their weight and compete against the big guys. Comprehensive audit and implementation of SEO best practices on your site. High quality link building to increase your domain authority. A consistent approach to creating and distributing valuable content focused on increasing your credibility and making your audience trust you. Increase brand awareness and reputation with high quality content that speaks to your target audience on channels and platforms of their choice. What sets you apart from thousands of other brands in your industry? Identify and showcase your USP with multi-channel campaigns.